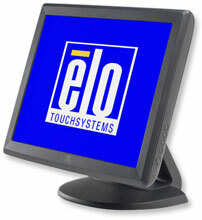 The 1000 Series of touchmonitors are designed, developed and built to provide the most cost-effective touch solutions. Aimed at the fast-changing retail POS and hospitality markets, they provide reliable, durable operation. The 1515L features a choice of touch technologies: AccuTouch five-wire resistive technology, the most widely used for retail applications and proven to survive splashing liquids, food and grease, or IntelliTouch pure glass surface wave technology, for the ultimate in optical quality for dry retail and hospitality applications, plus a dual serial/USB interface, sealed touchscreen, internal power supply and removable base. I have purchased several and am happy with them. Sturdy construction. We mounted our thin client terminals directly to the back. The stand has metal channels inside it for strength. New Quality. Very Quick delivery. The quality of the item was as I expected. I was more then impressed with the quick service and delivery. We were able to get the units into service much sooner than expected. The Elo E210772 is also known as Elo Touch Systems	ELO-E210772	.